Transcript from an interview with Elie Wiesel on 10 December 2004. Interviewer is Professor Georg Klein. Elie Wiesel during the interview. Your prize is the only Peace Prize, certainly, that has been explicitly given concerning genocide and the need of remembrance. There have been some Prizes in Literature, Nelly Sachs, Imre Kertész, dealing with holocaust literature where I think in Peace Prize you are the only one and I wonder what your perspective is today, after some more genocides, after the rise of Neo Nazism over the world. Has your perspective changed as you look back over a large piece of history? Elie Wiesel: Georg my friend, you know how many reasons we have to be desperate and despairing, the world is not learning anything. We have seen that. You and I went through certain experiences – if anyone had told us in 1945 that there are certain battles we’ll have to fight again we wouldn’t have believed it. Racism, anti-Semitism, starvation of children and, who would have believed that? At least I was convinced then, naively, that at least something happened in history that, because of myself, certain things cannot happen again. I was convinced that hatred among nations and among people perished in Auschwitz. It didn’t. The victims died but the haters are still here. New ones. 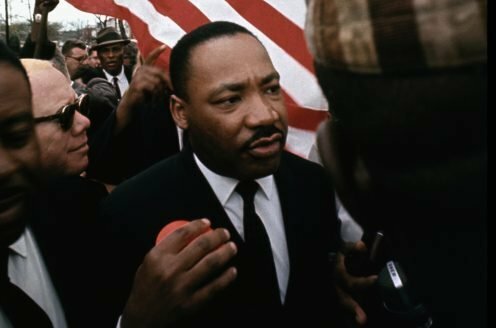 And so often I say to myself “Really, what are we doing on this planet?” We are passing the message as well as we can, communicating our fears, our hopes … Day in day out, week after week and year after year, people kill each other. I’m a biologist and I wonder whether you would agree with me that civilisation and humanism are a thin veneer over a much deeper layer of primitive emotions? Elie Wiesel: Well, you speak as a scientist, I’d rather speak as a student of philosophy. Philosophically it makes no sense, absolutely makes no sense. Why should people inherit evil things when their memories could contain and should invoke good things? It’s true that the veneer’s of course /—/. The darkest days in my life after the war, after the war, was when I discovered that the … most of the members and commanders of the Einsatz group that were doing the killings, not even in gas chambers, but killing with machine guns, had college degrees from German universities and PhD’s and MD’s. Couldn’t believe it. What do you mean? I thought that culture and education are the shield. An educated person cannot do certain things and, and be educated, you cannot, and there they were, killing children day after day and what happened to them? Doesn’t that mean that the basic theories are not correct? Elie Wiesel: Georg, our experiences really force us to recall many certainties into question. But whatever we thought was certain is no longer certain, and therefore in science probably certain things must be correct, but in human behaviour I am not so sure. I think that human beings are capable of the worst things possible and they show that there were times, and there probably are times, that it is human to be inhuman. Oh, yes certainly, I mean all the inhuman totalitarian systems have their own “ethics”, meaning that it is not only good to kill, but it is justified and more to kill, I mean that was the Nazi philosophy. Elie Wiesel: And in different way, I never compared Nazis into communism, but communism was the same thing, the end justifies the means. Whatever the means. But don’t you think that there are two things here, one at the individual level that is a limbic system, the lower republics in the loose federation of the brain, ready to take over as soon as we are stressed, and at the collective system there is a conformism. Elie Wiesel: It’s easier to be conformist naturally; it’s easier except for those who don’t like conformism. For us it’s not easy to be conformist, I cannot stand to be conformist, I don’t accept what it is, I like to say no. If I see an injustice I scream. So isn’t that the interesting thing to study, just that non-conformism, why. Elie Wiesel: Why? What is literature, what is art, what is music, what is even science? To say no, we say no. You know Imre Kertész book, Being without a Fate … have you read it? Elie Wiesel: I know of this book, yes. 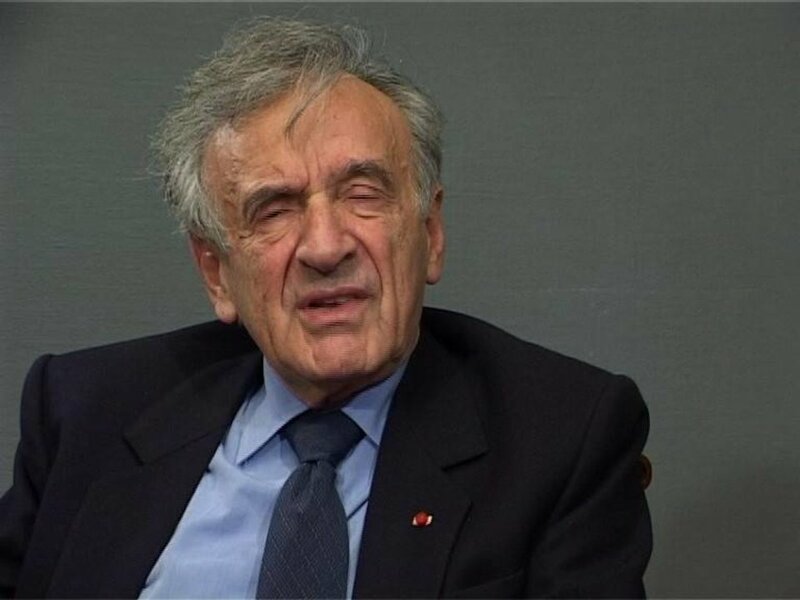 Elie Wiesel: I have read all of his works. In French, I have read his books in French. In French? Because in that particular book, seeing Auschwitz through the eyes of a 14 year old, the amazing thing to me when I first read it, long before knowing him, was that when he sees and describes the most terrible things, things I can’t mention, he says “Well, this was to be expected, this is only natural, it could not be any other way” and what he’s surprised by is goodness. Goodness is what he didn’t expect. So what is the difference between his and your background? Elie Wiesel: The same. I was 15, not 14, when I was inside there, 15, and for me both were actually a surprise. Elie Wiesel: Both was a surprise, but naturally when I saw, and when I remember those faces of people who were good I saw that. I saw a father who gave his bread to his son and his son gave back the bread to his father. That, to me, was such a defeat of the enemies, will of the enemies, theories of the enemies, aspirations, here. But these were rare, right? Elie Wiesel: Yes. Still I believe that Hanna Arendt, she was wrong when she tried to say that we are all actually capable of this, it’s not true. I think it’s not true. There are certain things human beings are not capable of. I mean people, even normal human beings. You have to do certain things in order to become what the enemy was and I didn’t accept her philosophical outlook on that. Nevertheless I feel that to me the greatest astonishment was the very first day, the very first hour. Elie Wiesel: … of deportation, and I came to a place that I realised that is a creation parallel to creation, and the universe. Parallel to the universe and in that universe people come to kill, others come to die and they have their own language, their own philosophy, their own theology, their princes, their beggars, their moralists, everything. That for me was a surprise. Wait a second, I thought that God’s world is only one world and here I see another world parallel to that world. You were surprised both by the evil and the good, Kertész is only survived by the good, could it be that that difference, which I think is interesting, is that you are a religious person whereas he’s not? Elie Wiesel: Probably, yes. I had my religious crisis after the war, not during the war. After the war. Were you religious at that time? Elie Wiesel: Yes, I come from a very religious background, you know that /- – -/ Sighet, very religious. And actually I remained in it. All my anger I describe in my quarrels with God in Auschwitz, but you know I used to pray every day. But how do you solve that problem psychologically? But you can live with it and still remain religious? Elie Wiesel: My faith is a wounded faith, but it’s not without faith. My life is not without faith. I didn’t divorce God, but I’m quarrelling and arguing and questioning, it’s a wounded faith. How do you see the other genocides that are going on in the world all the time? Is it part of the same thing or is the Holocaust unique? Elie Wiesel: I think the Holocaust … I make a difference between genocide and Holocaust. Holocaust was mainly Jewish, that was the only people, to the last Jew, sentenced to die for one reason, for being Jewish, that’s all. In other centuries you could have escaped death by conversion, by /- – -/ away, not here. There’s no way, I mean, and therefore that is, I call it wrongly there are now words, Holocaust is the wrong word too. Elie Wiesel: It’s the wrong word. That’s why usually I don’t mention it any more, if I want to say something about that period I say Auschwitz or something, but it’s not. Genocide is something else. Genocide has been actually codified by the United Nations. It’s the intent of killing, the intent of killing people, a community in this culture so forth, but no other people has been really interested. Rwanda /- – -/ I was involved in trying to save the Rwandan people and Sudan now. It’s a mass murder. Mass murder is a terrifying word. We don’t have to go further than that. Cambodia came close to, but what was it, Cambodians killing Cambodians after all. So therefore I think we should be very careful with vocabulary. I wonder whether you would agree with me, probably not. Two things. That killing the Jews, all the Jews to the very last one, even the converted to Jews, is a logical consequence and I suggest that’s logical of the paranoid type of anti-Semitism, the one that really believes firmly and honestly, I think, and like Hitler probably believed, that the Jews are the cancer of the world, and essentially believed the accusations which I put down in the /- – -/ the Protocols of the wise Zion. If you entertain that notion and you want to pull it out to its logical conclusion like Germans so often do and if you are forced in addition to that with large numbers of Jews concentrated that you don’t know what to do with them, that killing them is a logical conclusion. Elie Wiesel: Killing some Jews but not all Jews. But again, a Jew who converted, who simulated, was, at least in some periods, safe. Hitler in the beginning did not want to kill all the Jews but he wanted us to have a Germany free of Jews. If America had allowed Jews to come in, the British had accepted Jews from Palestine, they were safe. But Hitler needed, he didn’t want to kill Jews, he wanted to expel German Jews, and therefore it’s not entirely corroborating your theory. And that brings me to the definitive question that you speak about: America, the silence of the world and the total indifference of the world. Actually in Hungary, I think we probably both experienced, to me the great surprise was a total indifference of the majority of the Hungarians about what was going to happen to us and that I would not have expected. And we were part of the same culture, we spoke the same language, we loved the language and the literature at least, some of our fathers had been great patriots fighting the wars, therefore one would have expected a little more sympathy, a little more help. There was some help but that to me the greatest surprise is not the Nazis, not the killers, and not the /- – -/ but the indifference of the vast majority. If you compare to say to the Danish /- – -/. Elie Wiesel: You know I wrote my first book, I published it in 1955, it was in Jiddish and it was called And The World Was Silent. Oh yes, I know that, yes..
Elie Wiesel: 1955. But then it became Night, La Nuit, or Night. Elie Wiesel: But the world, how can a world be silent, that was my shock really and I say like I describe it in Night, to my father, it’s impossible, the world wouldn’t be silent, but the world was silent. And do you have an answer to that now? Elie Wiesel: But as to Hungary I’ll come /- – -/ You know I’m sure you … you know it better than I … We lived in our little town, even under the Romanian regime we spoke /- – -/ at home and my parents still remember the/- – -/ Hungarians and before 1914 or so and they loved Hungary. They loved it. They knew more about Hungarian literature than about Romanian literature. /- – -/. At home we spoke … And when the Hungarians came in, we felt good, we went to greet them /- – -/ Hungary we have so much in common and then I remember my father in the early forties did everything possible to get to prove, proof that we were Hungarian citizens and then we got the papers, I never left them, they were always in my pocket, and then in 1944, May, when the deportation began we came to the Synagogue, all the Jews were assembled and we gave the papers, thinking now we would be protected by a Hungarian Lieutenant. He didn’t even look at them, just threw them up into the waste basket. That to me was a very important moment. So what did that moment lead to, how did your feelings change radically and forever towards Hungarians? Elie Wiesel: Then I thought forever. I wrote in Night, I said that at that time I began hating Hungarians. You know that there is a statue of you, a bust, on the corridor of the first floor of the Hungarian Academy of Science, did you know that? And that’s where all the Hungarian Nobel Laureates are put on display, and they will gather everyone they can for instance about /- – -/ he was a Hungarian writer, but also Hershko, yes, yes, they announced him as a Hungarian Laureate, even the Swedish people /- – -/ and said Hungarian Laureate. Whereas of course what all the Hungarians wanted to do, was to kill him and his family. So how do you feel about that? I did everything I could in my life to be immune to hatred, because hatred is a cancer. Elie Wiesel: I had to be honest with myself and that I felt hatred then, but as children say “I hate you”, it’s not really hate, you know, it’s anger but I wrote it because I felt it, but in truth I’m against hatred. I did everything I could in my life to be immune to hatred, because hatred is a cancer. Well, let’s turn it around then and I’m sure you know the film Shoa by Lanzmann, yes. You remember that wonderful idyllic scene in front of the church on a beautiful Sunday morning in the spring and there are girls dressed in white in the procession, and there are these wonderful old peasant women who could be anybody’s grandmother and they’re so full of beauty and love, and then Lanzmann let interpreters and asks questions: Is this the church where the Jews have been, and how many and was there any toilet? And he gets the answers and of course it immediately appears that these were actually terrible conditions, and then he says: Is it true that this church was put on fire with all the Jews in it? Yes, yes and then suddenly you see the camera focuses on one face, it’s one of these beautiful old women, and suddenly it’s distorted in an ugly horrible grimace and she starts shouting: It’s right, they killed Christ! and then suddenly they’re all shouting. So would you agree with me that one important source of anti-Semitism that’s surviving to /- – -/ is in the evangelia ? Elie Wiesel: It is. It is, of course I agree, but then you must also remember that John XXI was a very great pope and he’s the one who actually corrected the liturgy. He did so because of his friend Jules Isaac, a French Jewish historian who was a friend of John Paul, of John 23rd, and he convinced him and he changed the liturgy, no more Jew, the perfidious Jew and so forth and now, and don’t speak any more of the Jews killing Christ. Things have changed. Elie Wiesel: Officially, but it has, look that’s, I the Jew that’s religious can tell you but I feel now never before have the relations between Jews and Christians been as good. You feel relatively good about it? Elie Wiesel: Not enough, but on certain levels. The Pope going to Jerusalem, the Pope recognising the State of Islam, the Pope going to the wall, /- – -/, organising a concert for the Holocaust in the Vatican, going to the synagogue in Vatican, and that happens in Protestant service as well. That doesn’t mean that anti-Semitism disappear, but it is on certain level that Jews all the time, or with Christians, Catholics, Protestants, Jews, meeting all the time, studying together, signing petitions for all kinds of causes. So on the other hand it’s true, that the poison of the church which has existed in certain, of course, evangelical writings is still there, but it’s better than ever before. I am glad you say that. I once had a correspondence with one of the Editors in Chief of one of the daily papers here in Stockholm because some Jews here in the city asked me to go along with them, to him, because this was a time when there was very much anti Israeli publicity, 20 years ago. There’s always a lot, but this was more than usual, and some of the publicity was different in gliding from anti-Zionism to anti-Semitism. And we went up to see him and we had a long discussion which was very fruitful, but then the English correspondence and I wrote to him that I believe that every child who learned the ascent of the Evangelia at the age of six or seven may have an anti-Semitic bias without knowing it, and he, a very honest man, wrote back to me saying “I don’t believe that what you are saying is true, but I cannot exclude it and that worries me”, which is very good. Elie Wiesel: It is true actually, it depends who is teaching. Today again the teacher is the important thing, but on the other hand anti-Semitism is growing today. No doubt about it. All over the world, especially in Europe, and it’s true they begin with anti-Israeli attitudes and then it’s so strong that it runs over and becomes anti-Semitic. But do you agree that maybe an unholy alliance between the anti-Semitism of the left, the old type Christian anti-Semitism and then the new Muslim or let’s say Jihad type of anti-Semitism. Elie Wiesel: There is a coalition. There is a coalition, yes. Elie Wiesel: There is a coalition of anti-Semitism today, the extreme left, the extreme right and in the middle the huge corpus of Islam. I’m worried, I go around, you know, with a very heavy heart. And do you also go to Muslim countries? Elie Wiesel: I have been but not … Before 9/11 I had contacts with Palestinians, Arabs and with Muslims, since then they are afraid. I’m organising now something, I’m organising for next year … You think about Islam and so forth, many Islamic leaders and so forth, because I, you know, I’ve organised for the last 18 years, since I got the Nobel Prize actually, Anatomy of Hate Conferences all over the world, what is hate. Didn’t help but at least they explored it. And do you find that you can talk across the barriers of hate? Elie Wiesel: I think we can, because there’s only one, I don’t know the real answer, my answer to anything which is essentially human relations is education. Whatever the answer is, education must be its measured component and if you try to educate with generosity not with triumphalism I think sometimes it works, especially young people, that’s why I teach, I’ve been teaching all my life. As to the youth culture today … Sorry I’m sort of lifting into a bit wider questions, but how do you see, are you pessimistic about it and of all this junk that inundates the young? The disappearance of the importance of learning, of education, it seems alright in some places /- – -/. Elie Wiesel: I’ll tell you … I’m a privileged person, I feel privileged because of who I am. I write books, I write novels, I write essays and I teach and I go from university to university. I’m one of the old, but I still go around, but I only see those who are not like that, I don’t see the junk youth. I only meet students, and even those who are not formally at the university, if they come to listen to me, they come to read me, it means they are not junk students. Elie Wiesel: Exactly, self selected. But I feel therefore I don’t know, I think the young people are the contrary. Do you know when I began teaching, was 35 years ago, you hardly could find a university in America or a college where they would teach either Jewish studies or Holocaust studies. Today there isn’t a university where they don’t have special courses, hundreds and hundreds of universities, young people today want to know more than their elders did, much more, and therefore I am very optimistic about young people. What do you tell them, may I ask, when they ask that ever returning question “We don’t understand how this could have happened, this is impossible to understand”. Do you say that it is possible to understand? No you don’t say that? Elie Wiesel: In truth I don’t think it’s possible. I agree with them. Georg, that tragedy which to me was the worst, the cruellest in the court of history could have been avoided. Why wasn’t it? Could it had been avoided in any other way than by stopping Hitler? Elie Wiesel: By stopping Hitler. By speaking up. I’ve worked with five Presidents in America, all of them I ask the same question always: Why didn’t the American allies bomb the railways going to Auschwitz? Yes, I wanted to ask you that question. Did you get an answer? So they couldn’t answer you? Did you ask the British? Elie Wiesel: I asked a British General, but it was before his time, but I asked the American Secretaries of Defence, I asked American Generals, I asked Presidents. After all, there is no answer. They said, a few of them said they didn’t want to divert from /- – -/ Come on, what a few bombs, at that time they were having hundreds and hundreds of thousands of aircrafts bombing. I remember when they flew over Auschwitz we were hoping, we were praying for them to bomb Auschwitz and die, at least die in the bomb. And the first time it came to me, President Carter wanted to appoint with the Chairman of the Prisons Commission of the Holocaust but I didn’t want it, I said to President “I am a teacher and I’m a writer, I’m not a …”, but he was very good and he quoted my own words to me, and he said “I knew you were coming to the White House, I asked the CIA Director, the admiral Stan Turner, what did you know about the place where Elie was?” So he had a folder with pictures on his desk in the Oval Office, and this is his answer; this were the pictures taken by American aircrafts and usually when they were bombing they were taking pictures, and at times they forgot to close the camera flying over Auschwitz and these were the pictures, and so I was, I became a guide to the President of the United States. Did you never, did he never analyse it? Elie Wiesel: I asked him, what would you have done, what would you have done? There is a major new book about Eichmann, I didn’t read, I just saw the review in the New York Review of Books this week and apparently the book is a very good study, but the word that comes back about Eichmann all the time is “contingency” and depending on really unimportant things this book of contingency that influences decisions in this direction or that direction, or the absence of decisions. Could it be just that? I mean chaos theory. … they could have saved so many people and they didn’t. Elie Wiesel: No, not chaos, no, no, no. That was not chaos. They simply decided that it was not a priority. The American and the British armies liberated camps, there wasn’t a single order of the day: Let’s go and liberate the camp. They stumbled upon the camps. Same thing with the Russians, I asked the Colonel who liberated Auschwitz, they didn’t, there wasn’t a priority. But I feel that that was a mistake, it was a sin because they could have saved so many people and they didn’t. The last question, do you know, or know of Rudolf Vrba. 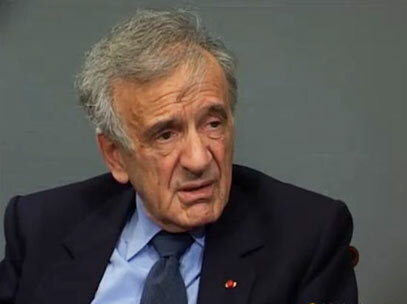 Elie Wiesel: No I was in touch with him, I read his book. Yes you wrote about him, that he’s a genuine hero. Elie Wiesel: Absolutely, to me he is a hero. He and his friend who escaped from Auschwitz and saved Hungarian Jews. So he, his book was first called I Cannot Forgive and then he changed it into I Escaped from Auschwitz. He is, I think, quite of the same opinion as you are, although he’s more bitter I think about the Jewish leadership. Elie Wiesel: He is and I understand it because he tried. He said, what did he say? He said we were, we saw all of a sudden barracks being built, gas chambers, we knew the only large community still alive is Hungary, that’s why they wanted to escape, to warn and he said: We came to warn and they didn’t listen. And in my memoir I described this because I didn’t understand the real life in Auschwitz, the Commander that received us: Why did you come, why did you come? We wanted to come, and the question was: Look we warned you, why did you come nevertheless? But I think Vrba overestimates one thing and I keep telling him I am your guinea pig because I can tell you that your theory I have tested in life, namely my boss whom I worked for at the Jewish community, long time gone, a Rabbi, he showed me the report of Vrba and Wetzler during the first days of May in 1944. Elie Wiesel: He did show it to you? Elie Wiesel: You never told me. Yes I’ve written about it, but maybe it’s not translated. Elie Wiesel: I didn’t see it, no. Yes I will send you what I have about it, I have now an essay on it and also on Vrba and my contacts with Vrba. Because what happened was that he showed me the report, it was a typewritten report, a carbon copy, and I saw one copy like that at the Wallenberg exhibition recently, it might have been the same copy. They took me, they made a film about Wallenberg, they took me to the same room where I have read this report, it’s still the same small room in the kibbutz house and I felt again exactly the same feeling I had then, namely a mixture of nausea and intellectual satisfaction. I knew it was true. It is written with such scientific precision but I was then allowed to go and tell my closest friends, my relatives and so I went straight to my uncle, living across the street, he was my father substitute, my father died when I was one, and showed it to him. Now, he was a rheumatologist, an educated man, he was really like a father to me and he liked me very much, he loved me very much, at this time the only time in my life he got so mad that he almost hit me in the face and he said: Have you gone crazy to believe this? And then I went on and on and told other people, whoever it was, middle aged or had possessions, had family, they said this cannot be true. Young people like myself with no dependence, they believed it and they went underground like myself. I think that the idea of a publication of this would have led to something major, I don’t think that’s true. Elie Wiesel: I think if anyone had called my father from Budapest and said: Look this is the report, I think he would have gone into hiding /- – -/I think, yeah. It could have saved many people. Elie Wiesel: We come actually to the question of words, what do words mean, we’re not the carriers of truth, we’re not the carriers of something else, and as a writer … I have that problem day after day. But isn’t it also dependent on the beholder? Elie Wiesel: Nevertheless, we are led to believe that true words can communicate more than truth, they communicate what life is all about, that it’s threatened, when it’s threatened, when it’s in danger, then it becomes a curse or a blessing. We are led to believe otherwise, we are believe the people of the book after all, and will call us later Mohammed. /- – -/ People of the book, and we are people of the word, of language. Yes but the evolution of language is like the evolution of the poison of the snake, or the claws of the tiger, it can be an instrument of truth, it can be an instrument of lies. Elie Wiesel: And who are we to say who is what and what is what? Look, Nietzsche said something marvellous, he said “Madness is not a consequence of uncertainty but of certainty”, and this is fanaticism and these words they’re /- – -/ words and we use words, the same words, they are not the same words. Elie Wiesel: Fanaticism is the greatest threat today. Literally, the 21st century just began and it’s already threatened by fanatics, and we have fanatics in every religion, including mine and yours, unfortunately and what can we do against them? Words nothing else, I’m against violence but only words. And Elie I think your words carry us very far. Elie Wiesel: Oh, I try to. And I hope you will continue in the same spirit. Elie Wiesel: Thank you, thank you. Interview with Elie Wiesel, December 10, 2004. Interviewer is Professor Georg Klein. Elie Wiesel talks about his perspectives on the world after World War II, recollections of his time in concentration camp (5:41), the indifference of the world (12:42), antisemitism (16:42), the importance of education (22:26) and that the tragedy of the Holocaust could have been avoided (24:31).